In the new Faculty of Economics complex in Pamplona, Juan M. Otxotorena applies a specific vocabulary to the façade, going back to the archetype of the entrance colonnade and using vertical elements with a triangular section to lighten its form. Bare concrete, glass and metal are the materials he puts together. 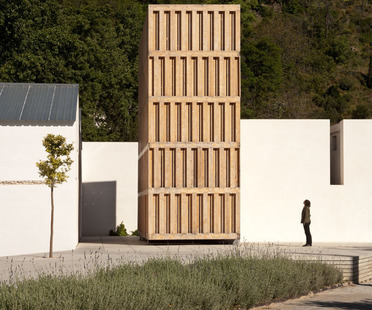 Architects Fernández -Vivancos and Abalosllopis have designed the Can Feliç nursery in Benicàssim in Spain. The architecture is the mouthpiece of the values it contains, creating a place for education and sharing. It has five pavilions around a covered courtyard and the greenery of a garden, which enters from perspective viewpoints. The materials chosen for the work were exposed concrete and decorative wood. Campo Baeza designed his glass architecture for the Junta de Castilla y León in Zamora, Spain with the work of Mies Van der Rohe in mind. By breaking down the building into its structure and skin, the architect makes the most of the materials used through architectural form and then leaves it up to the light to interpret them. 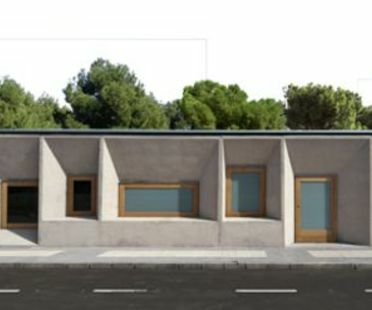 The projects discovered and acknowledged by Floornature’s international Next Landmark contest include redevelopment of the market in Ferreries, a neighbourhood in Tortosa, Catalonia, by architects Josep Camps Povill and Olga Felip Ordis, which earned an honourable mention for first project. The old building was restored and converted into a cultural centre, with the addition of a new volume linking it with the square outside. The high-tech idiom of the architects of Spanish studio Exit converts the old prison buildings in Palencia into a contemporary architectural project hosting an important new function for the city: the headquarters of a cultural centre, with an auditorium and a library.